Just fill in the form above if you would like a Lodge member to contact you about our local chapter of the world's oldest & largest fraternal organization. Alternatively, men are welcome to pop in and meet some of the members, ask questions, satisfy your curiosity, or test the waters to see if Freemasonry might be right for you. Just come through the door and up the stairs any Thursday evening around 6:30 pm. This particular time ensures someone will be there to meet you and is during our social hour so this allows us plenty of time for introductions and to tell you a little about who we are and what we do. We are a fun and friendly bunch and our guests are always made to feel very comfortable when they visit us. 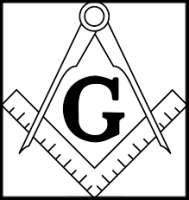 Almost every week we meet men who are curious about Freemasonry, but at the same time don't know what questions to ask. That's very normal and we've all been there, so you can rest assured that we will help you answer your questions—even the ones you may not know to ask. At your option, your first visit can be as short as 5 minutes or as long as 1 hour.